Knowing I had 48 hours in Malmö, Sweden, I summoned the Sun God, Agni Deva, who was still vacationing in Spain, where I had left Him. 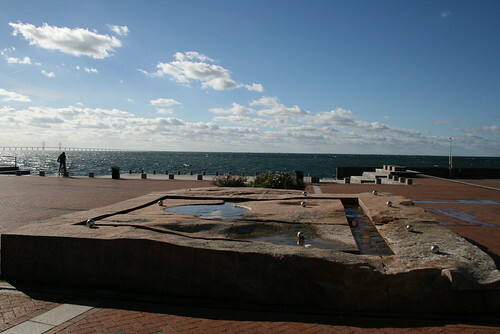 After some reluctance, Mr. Agni himself, moseyed on over to the southern tip of Sweden to shed some rays during my visit. Amrta Vapu (which translates from Sanskrit into Nectar Body, as you may witness for yourself) was gracious enough to lead me along a visually stimulating tour along the coastal city. Colors popped as Scandinavia squeezed out the last bit of summer. Somehow the grass was greener, the ocean a deeper shade of slate, the wind, slightly more fragrant, or perhaps is was due to the company or perhaps Mother Earth was happy that two of her babies weren’t polluting Her body. 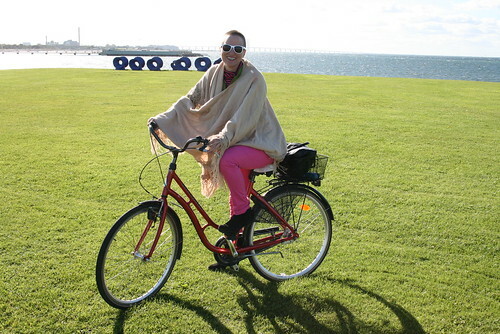 In any case, please follow me, following my fearless leader, along Malmö’s shores on the last sunny day in Sweden, 2010. 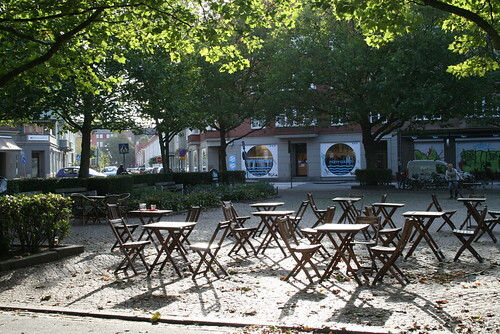 Earlier that morning, I was working off my jet lag by taking pix of random Malmö goodness & shot a picture of a nicely illuminated outdoor café. 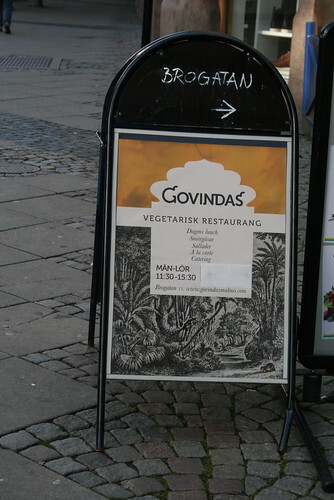 Once I realized it was close to our meeting time, I kicked off my kickstand & peddled toward my destination: Govinda’s: Malmö. 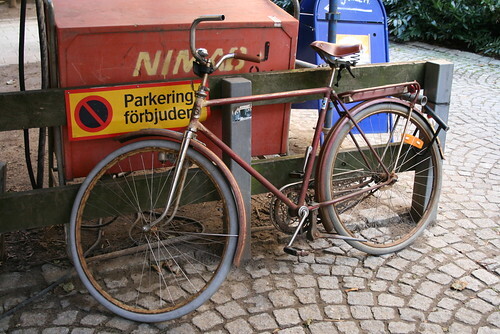 I skidded my bike on the cobblestone into Govinda’s courtyard & noticed Amrta’s bike leaned up against the PARKING VERBOTTEN sign. I chuckled to myself & of course had to take a pic. Clearly rules do not apply to any friend of mine! 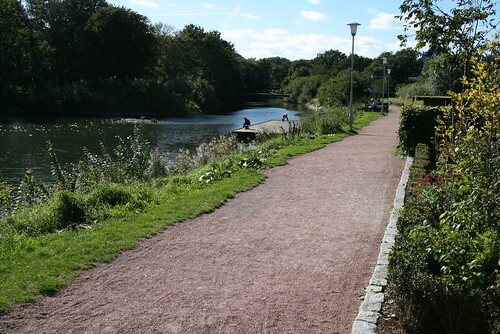 We set off down Föreninsgatan towards Kungsparken an awesome pebblestone-lined park that greeted us with a greenhouse café & windmill. all while cycling past the monolithic Turning Torso. 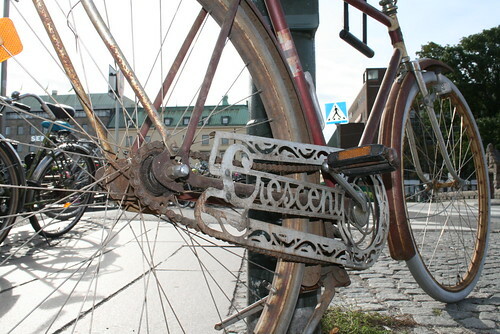 we approached Malmö’s Central Train Station, where you can enjoy the cluster of urban cycles, as well as close-ups of Nectar Body’s super awesome sun-rusted artbike. Next time, please join us, Nectar Body & Jiggly Body, on our trip to Christiania where we will share how they’ve taken cycle-style to a new level. 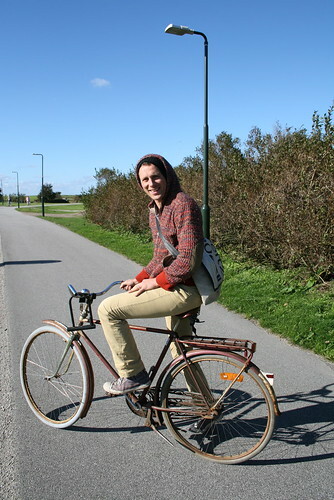 I thoroughly enjoyed the recounting my cycling adventures in Sweden. And hey, whereas "Nectar Body" seems to be an accurate description for your friend, "Jiggly Body" seems most inappropriate to describe the gorgeous gal featured here....need a new name. What the! 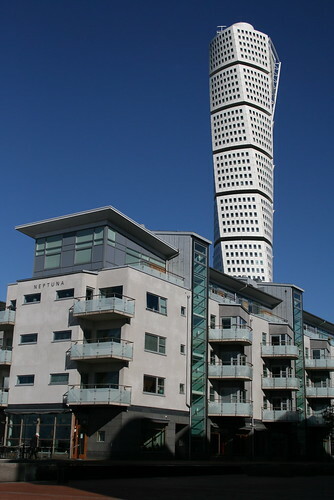 Ahh the turning torso building. 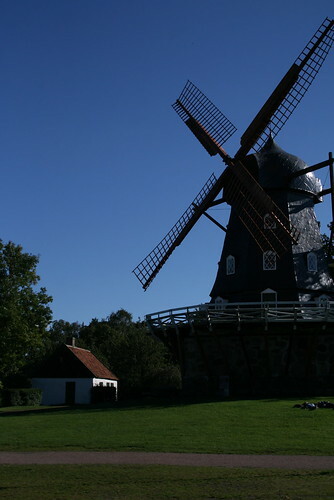 I am told that it is visible from Copenhagen! Except when I was there it was covered in fog. 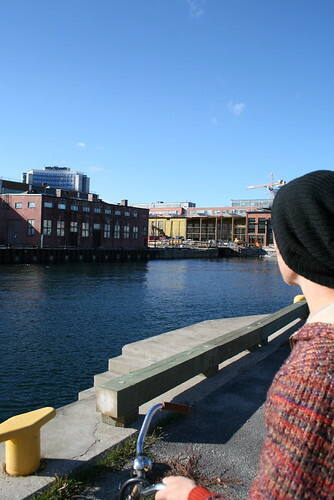 This post is making me wish I would have crossed the bridge and checked out Malmo - next time!